Since I talked about my strong girl earlier this week, I decided it was time to put together a list of books for strong girls. You know, #bossnotbossy girls. Let me preface this by saying I am by no means anti-princess. I love all the princesses. We are a princess-friendly house, just as we are a superhero-friendly house. I am not against princesses – but I am against not giving girls options. Therefore, I present this fun list of titles for your own strong little women. 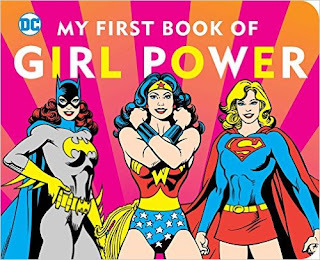 Since we are a superhero-loving family, it should come as no surprise that one of the first books on my daughter’s bookshelf is dedicated to female superheroes. In this board book by Julie Merberg, each female superhero is identified along with her strengths. The strengths include things like speed, bravery, intelligence, kindness and strength. It is fun to introduce cool female characters, as well as discuss the qualities that make them super. Do you ever read a book that is simply so delightful you wonder how you ever made it this long before reading it? 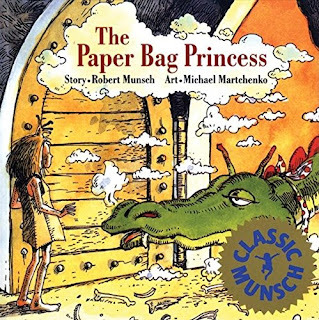 The Paper Bag Princess by Robert Munsch and illustrated by Michael Martchenko is this book for me. If you do not own it, run to amazon and purchase it now! (That’s what I did.) A quick summary of this classic: a princess loves a prince. Their castle is burned by a dragon and the prince is taken by the dragon. The princess goes on a quest to save him (wearing only a paper bag because all her gowns burned). She outsmarts the dragon and saves him, only to have him point out that she looks like a mess. The book ends with her telling him he may look like a prince, but he is a bum. And they did not get married after all. I cannot stop reading it and laughing. Trust me on this one. It is a classic for a reason. 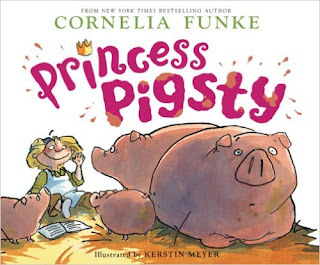 In this fun children’s book by Cornelia Funke, there are three princess sisters. One of the sisters is simply over it. She does not want to wear all the dresses and do all the princess-y things anymore. Her father, the king, punishes her by making her do dirty chores (work in the kitchen and then in the pigpen). But, surprise, surprise! This princess finds she is much happier mucking it up in the mud with the pigs. The book does show the struggle of the king accepting his daughter’s choice, but he ultimately comes around to realize she is happier than she ever was in the castle. 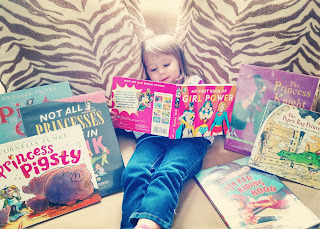 Princesses and pigs – that’s enough to make my daughter giggle. Jane Yolen is a super popular children’s literature author for good reason. Her books are easy to understand, clever, full of rhymes and bright illustrations. 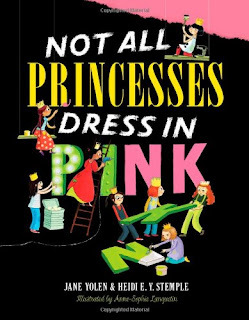 This book focuses on identifying what the title suggests – princesses like all different colors, hobbies, careers. These princesses do not fit into stereotypical boxes, but they do all wear crowns (even when playing sports). 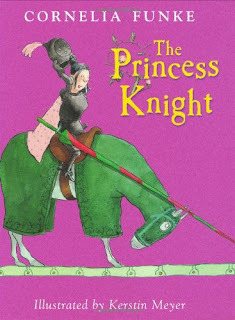 This clever children’s book by Cornelia Funke focuses on the daughter of a king who is raised by her father and older brothers after he mother passes away. She learns (and teaches herself) how to be a knight. She is strong enough to play fight with her brothers and to defend herself. However, her father announces they will be holding a tournament for knights to battle for her hand in marriage. She is simply not okay with this idea. So, she does what any brave princess who knows how to joust would do. She fights in the tournament in disguise to win for herself. And she does. Hooray! My daughter loves this children’s book by Corey Rosen Schwartz and illustrated by Dan Santat! And what’s not to love about taking a classic fairy tale and adding in ninja moves? 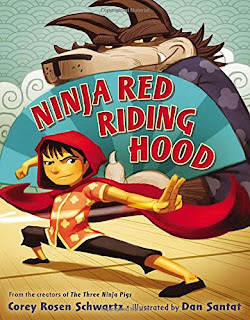 This story follows the traditional fairy tale with the exception of Little Red Riding Hood and the wolf both learning martial arts, and Red defeating him with her awesome moves, of course. Granny also has some smooth moves she uses to take down the wolf. In the end of this reimagined fairy tale, the big bad wolf decides to find inner peace by taking up yoga. Pirates are fun! 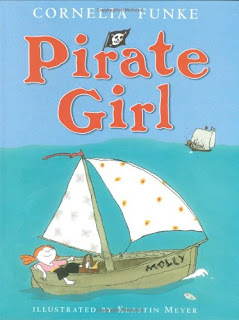 Boy pirates, girl pirates, puppy pirates – who cares? I like this book by Cornelia Funke because while it focuses on the group of burly men pirates capturing a girl who is then rescued by a group of women pirates, it really emphasizes the mom rescuing her daughter. In this story, the pirate men were afraid of the band of female pirates. But, what is scarier than a mom who is fighting for her child? It makes perfect sense to me. * You may purchase these books from amazon by clicking on the titles. These are affiliate links. Thank you for supporting my blog!